Now that's a head of lettuce. Oh goodness, look at that huge thing-- fantastic! I don't think i've ever had a lettuce grow that big! A wise man once said Never Eat Anything Bigger Than Your Head. I'm confused, is that the same head from last year in your avatar pic or is that just your gardening hat and shirt in both pics? I know you grow black seeded simpson, is that it? We are trying that in Mom's garden this year and if this pic is from this year, you are waaaaaay ahead of us. Congrats. My Tom Thumb butterheads have never reached half that size! Of course, groundhogs made sure of that for me this year. That looks like my black seeded simpson! I had a couple get that big before trying to run to seed. Looks great! Most of mine are done for the year.....nice to see some people still in the salad season. 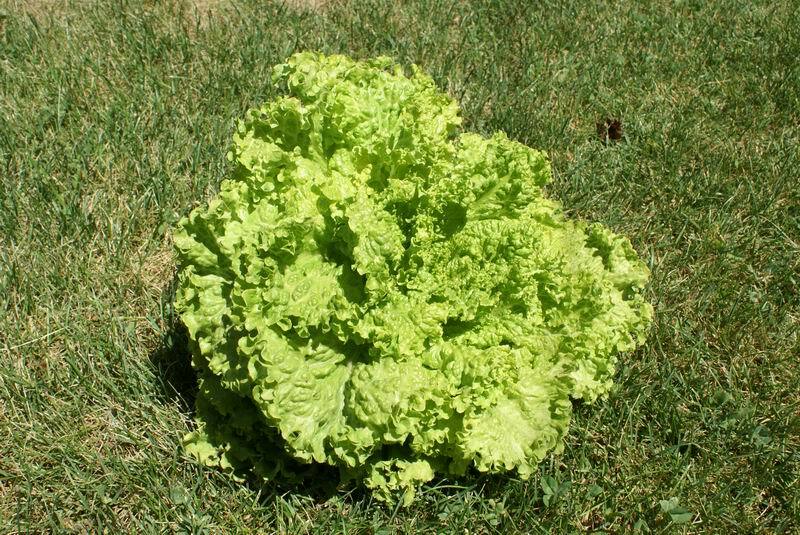 Great head of lettuce! 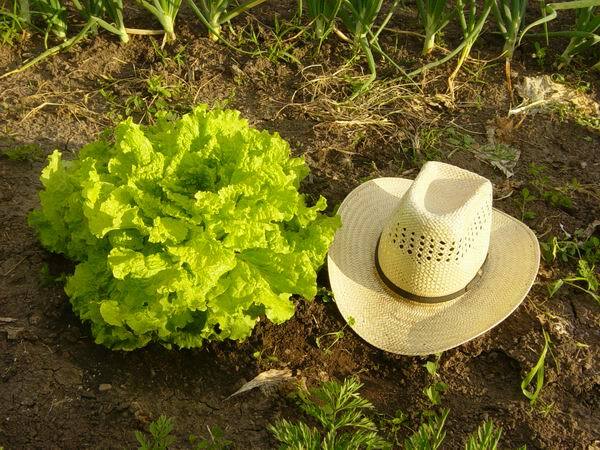 Tom Thumb is a miniature butterhead lettuce and tastier than any loose leaf lettuce. My lettuce is about done - have about half a dozen heads of Black seeded simpson left in the garden after pulling enough to make braised lettuce with fresh bunching onions and peas. One thing about simpson is it just doesn't seem to get bitter. It is so tender and sweet. I also grew Lollo Rossa and it was good for quite awhile. but when it got ready to bolt - it got unbelievably bitter. I'm planning to grow some Red Sails when the weather cools a bit - does it get bitter? Wow, nice one James. It is almost impossible to get lettuce like that around here. I am working on my 5th or 6th wave of lettuce. The summer heat is just making it bolt fast, but I am trying to stay one step ahead of the game. With new plants in the ground and starters just waiting and more being started. They may not last long but if I keep up the new arrivals I may just have lettuce till the fall. I picked a 2 lb. 14" cuck the other day. Nice! Yes. Most lettuce taste best when it small young and tender. Here is a picture of some of my Red Sails. It is large and just starting to send up the seed stock. Bitter, but the ducks love it. No matter should be wasted. Re: Now that's a head of lettuce. I don't know what got me to lookin at this ol post from five years ago? Anyway the photo didn't show up so I made a new link to a head of lettuce. Not even sure if this is the head the original post was about? ............ for sure new computer and likely new photo hosting site since that time? I'm losing it! Pink Leaves/Discoloration on Head Lettuce?